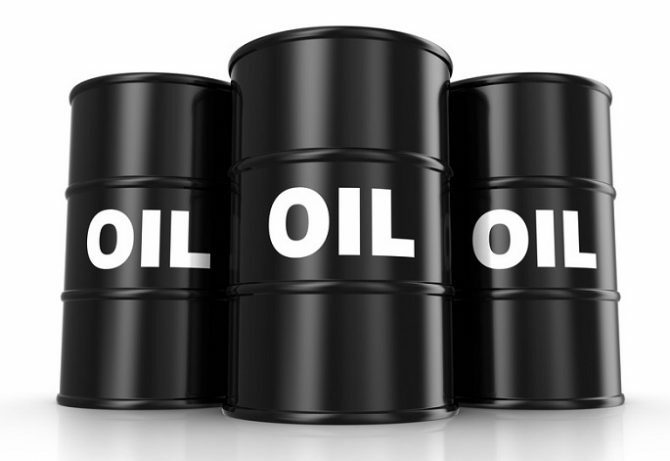 2019 Oil Forecast: Price Stability? As OPEC and NOPEC battle to artificially control oil prices, the US has quietly become the world’s number one energy producer. This could be one of the most important economic factors in the coming years. Yet politcal and economic turmoil will make oil price volatility a certain thing. The Saudis and Texas will fight for $100 a barrel oil, the forces countering high prices seem to be growing. The top news last week is the threatened legal action by the US over OPEC price fixing and manipulation. The Saudis responded that any anti-cartel/monopoly legal action would result in the demise of US shale producers (who couldn’t survive with low prices). Experts believe the net effect would be lower prices for everything from plastics to gasoline for consumers. For the gas guzzling, SUV loving American consumer, the law suit and trends would be great. More money staying in the US means more jobs, more travel, lower transport costs, and a boost to the economy. Higher prices would slow the economy costing jobs, and perhaps lead to higher interest rates. The NOPEC bill — known as the “No Oil Producing and Exporting Cartels Act,” would allow the U.S. Department of Justice to file an antitrust lawsuit against OPEC for trying to control oil production or to affect crude prices. The Saudis however were implicated in the murder of a reporter and have very few friends left in their fight for high oil prices. For decades US lawmakers have tried to stop the Saudis from artificially and unfairly raising oil prices, but no previous President would pursue action in world courts. President Trump however may be amenable to taking legal action. If he does, it could lead to anti-trust action against a lot of big monopolies, many of them US based. Knowing Trump, he’d loved this battle. Could it get past the Senate and House? No, the democrats will not pass anything by President Trump, so it’s dead in the water. The US has means to increase domestic oil production, and they could allow Canadian crude oil to flow via pipeline into the US, to further increase supply. IEA forecasts U.S. exports of crude oil and petroleum products on course to double, to 9 million barrels per day by 2024. The U.S. will surpass Russia’s shipments and threaten to unseat Saudi Arabia, as the top oil exporter. A few weeks ago, the U.S. exported a record 3.6 million barrels per day of crude oil. As you can see in the this graphic, Statista’s forecast is an overall downward trend, despite the Saudi lead mission to raise them of recent. If global economic growth slides, and US oil production keeps rising, there is little to support the Saudis in their attempt to push them up. 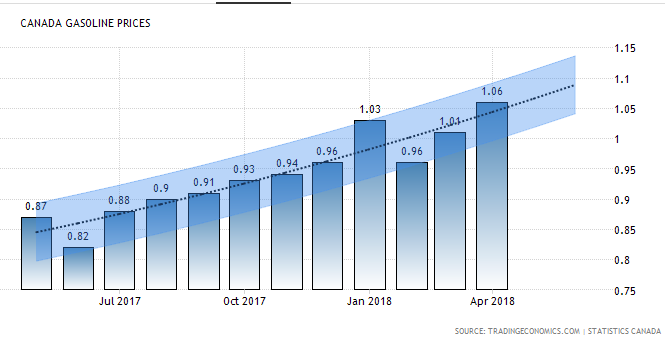 The nodeal Brexit situation plus Opec cutbacks and supply drawdowns last week conspired to raise prices further to $58.52 USD. Crude oil is the commodity that influences the health of economies and housing markets more than any other. It isn’t lumber, steel, lithium, aluminum, or gold. And while oil prices get featured in business media, it’s gasoline price increases that generate real emotion. For commuting consumers who drive everywhere, saddled with big mortgages and rising interest rates, the high price of gas could cripple their lifestyle. How would $10 a gallon for gas feel to feed your SUV or truck? If oil and gasoline prices jump worldwide and OPEC is able to extend the high price period, oil companies are looking at a winfall. Below, we’ll take a look at where you might want to invest to take advantage of this situation and where the biggest potential for profit is. Oil companies are moving into a period of high profitability. Some are predicting high rising oil prices and so far, they’re back up over US$70. That number seemed plain crazy one year ago. 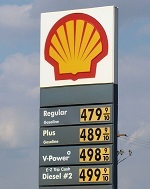 And gasoline prices are very high (1.60 per litre in Vancouver, Canada) and about $2.70 a gallon in the US. and in the UK prices are 121.4 p/litre ($1.64 US per litre). If oil prices hit $100 a barrel, gas prices could conceivably double. Since gasoline refineries are maxed out, there won’t be growing supply to fulfill demand. Even modest increases in demand would jump prices (such as this summer’s vacation demand). And for the past 2 years, the price of gas is not tied to the price of oil. In fact, gas prices have big taxes and other fees added to make it even more expensive. And when gasoline production is constrained, it sets the stage for lofty gas price predicions. Canadian gasoline prices are 40% higher than in the US, making it an expensive summer for debt burdened Canadians looking to travel. Trading Economics forecasted $1.10 gas prices in Canada yet they’re nearing $1.40 in Toronto and $1.60 per litre in Vancouver. This smooth price growth forecast is already unrealistic. OPEC is the world’s major oil producer and they have agreed to limit production. When supply falls, prices rise. And many sources of oil are drying up (e.g. United Arab Emirates, Venezuela). For non-oil producing countries, relying on the middle east for oil, and a $100 barrel of oil price is worrisome. Over time, it drains significant wealth out of their countries and jumps inflation. That’s especially so for the US, Germany, France, UK, Japan, Australia, and Canada. The last time oil prices spiked at $150, they soon crashed along with the US economy and the US housing market. And with real estate prices so high, could we see another housing crash? Pierre Andurand, an oil-focused hedge fund manager made headlines when he said oil companies won’t invest in new production, thus suggesting a $300 a barrel oil price was “not impossible” within a few years. Since investors believe green energy is ready for prime time, investment in oil exploration is way down, and oil refineries aren’t being built. As a result, the price of gas is likely to skyrocket in the next 5 years. So the real story is not crude oil predictions, but rather rising gasoline prices in the US, Europe and Asia. Adding to potential demand comes from the failure of the Kyoto Accord and the Carbon Tax regime. Once it fully fails, demand for oil will surge. Could Los Angeles home prices double? Since 2012, they have doubled in price. In Toronto, home prices skyrocketed even more, and the local government had to kill the economy to suppress home prices. Canada lost jobs last month against expert predictions of +180,000 more. Constraints on US home building also could cause house price inflation too. Housing experts: home prices won’t rise that much. They did. Supply and demand in homes is steady, but demand for oil is much more intense during upward economic growth. With the US, Chinese, and European economies doing well, optimism high, and interest rates low, demand for oil will stay high. Oil prices are driven by demand from industry for plastics, fuels, and also by supply constraints by producing countries. The oil embargo of the 1970’s showed us supply and high prices can wreak havoc on economies. Political turmoil, sabotage, war, embargos and more could take a lot of supply out of global markets at a time when global GDP is growing. Andurand believes high oil prices won’t affect economies, but how can it not? Even though the US is going to be the world’s top producer of oil, Japan, UK, France, Germany, and other nations won’t be able to maintain their economies with growing US protectionism. Andurand says oil prices need to rise fast to discourage consumption, otherwise a huge price shock will happen in a few years. Everyone is buying huge SUVs and trucks now. Ford stopped making cars. Consumption will rise from vehicles and from commercial products (plastics). For President Trump and the US economy, high oil prices and gas prices may actually stimulate US GDP growth boosting US gas consumption. The US can grow its exports significantly with oil based products. That’s a big incentive once everyone realizes what an oil rich US is all about. The US is becoming one of the top oil producers and US industry will like what they can do with this new opportunity for lucrative export products. With Trump putting sanctions on Iran, it could set off trouble. Further, if the Trump government was to come to an end, the US democrats could decide to close down shale oil production and off shore oil production, thus pushing dependence back on the middle east. Eric Lee of Citibank forecasted $60 for oil and still clings to lower oil price forecasts. 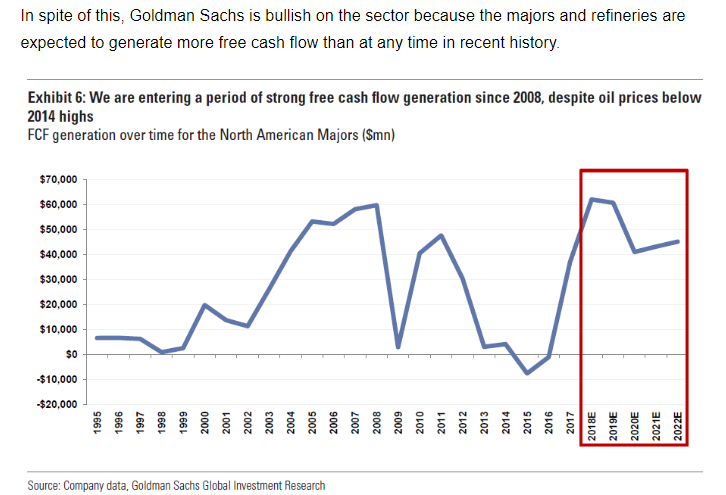 Goldman Sachs predicted this back on Feb 5th: The decline in excess inventories was fast-forwarded in late 2017 by stellar demand growth, high OPEC compliance, heavy maintenance as well as collapsing Venezuela production. Goldman revised their estimate from $62 to $75 and then onto $80. Here, Jeffery Curry, head of commodity research at Goldman Sachs discusses oil and business. Expert opinions are that mideast turmoil, greed, and high demand will not raise prices of gas and oil. 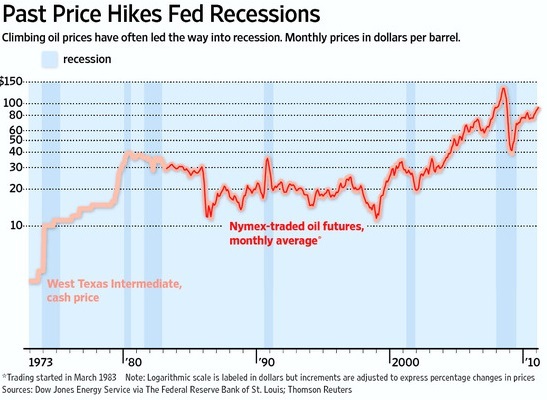 According to a Wall Street Journal report, there is a correlation between price rises and recessions (seen in graphic below). It could be that oil price rises typically happen toward the end of a strong business cycle, which of course always ends. Did the business cycle end because of high oil prices or because all economic booms must die a natural death? 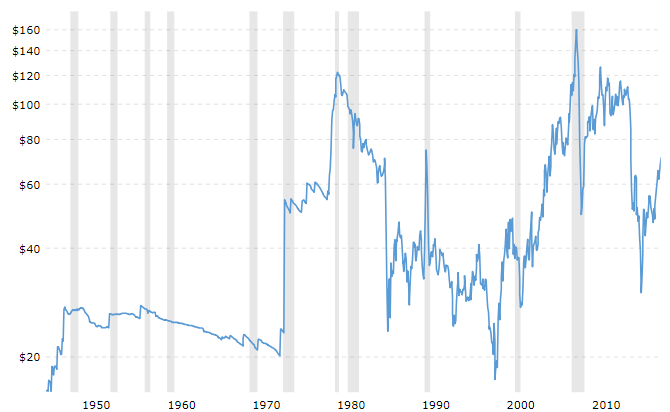 It’s at these times, especially this record length positive groth business cycle, when global economic pressure boosts demand well ahead of supply. And as we just discovered, no one wants to invest in old technology and fossil fuels. Yet, the green revolution is still a long way away. Perhaps more people will realize how far away electrical energy is and we’ll begin to appreciate the ongoing role of fossil fuels in global economies. If this is a meteoric rise supported by US producer strength and big global demand for gasoline, it makes sense that the biggest producers will make huge profits. However, smaller oil companies might see their growth rocket even faster. Take a good look at Canadian oil companies. Right now, pipeline problems are trapping Canadian oil from Alberta and Saskatchewan. Their stock prices may be suppressed as sellers are thinking it is a long term issue. As prices rise, the issues will be forced to resolution and the pipelines will begin to get oil flowing. This is not advice to invest in these firms but rather an opportunity to hedge against the coming recession with a quick win with oil, if you have the funds to play with. If you’re firmly opposed to fossil fuels, then investing in residential solar power might be a good play. Rising electricity rates and growing demand from electric vehicles are powering up this tech sector. With big storage batteries arriving, electricity is launching a lot of entrpreneurialism. In fact, solar power is creating more jobs than any other industry. Solar panels prices are jumping due to tariffs on China, however that’s spawning US solar panel producers. Check them all out at energysage.com. Their stocks prices are up 6% to 9% on the news that California is now manadating them on new homes being built. It will be fascinating to watch the rising momentum of oil prices and gas prices and how accurate experts predictions are. Don’t forget to bookmark this page as I’ll be continuously updating this very important topic.